The music-cockblock-association aka GEMA fucks my brain. Getting this vlog up was next level struggle. After my video being blocked in 27 countries (of course Germany was first on the list) for using a remix that sounded too close to the original for the content ID claim robot, I had to cut the video again after finding a great indie musician on soundcloud. Turns out this not-so-undercover indie artist got somewhat famous so her old song became subject to a copyright claim. Same game over again. From here on out, it’s not my wahala. But being as caring as I am about my readership and viewers (hello to every 176 of you on Youtube!! <3), I couldn’t let it not by my wahala. So I finally beat the music-cockblock-association and the content ID claim robot, while still being able to find somewhat acceptable music for my video (actually I’m digging this song very much), but I couldn’t bother to cut the video according to beat anymore. Forgive me. 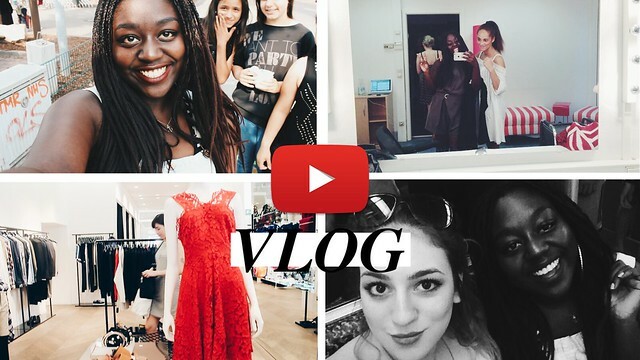 Anyway I’m happy that my first vlog is up and it is like a homevideo of a really cool day. I take you shopping with me and my friend Sophie, just us girls being girls. Later we get to have some fun with INDIE Magazine + a shooting and I met the cutest fan girls!